Last year I shared with you the recipe for Easter carrot cake. This year I decided to go for cupcakes. 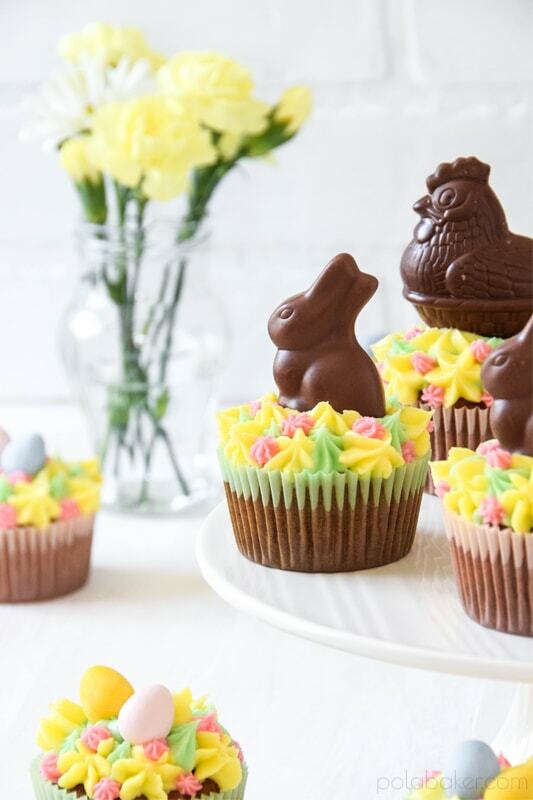 These soft and flavourful carrot cupcakes are topped with not too sweet mascarpone cream cheese frosting and decorated with cute little chocolate bunnies and chocolate eggs. Chocolate bunnies and chocolate eggs for decoration. Preheat the oven to 175C. Line a muffin tray with paper cases. In one bowl whisk eggs with sugar, brown sugar, applesauce, oil, and vanilla extract. In another bowl sift together flour with baking soda, baking powder, salt, and spices. Add dry mixture to the egg mixture and whisk until smooth. Add shredded carrots and chopped nuts and mix well. Divide the batter between paper cases, filling each cup about 2/3 full. Bake for 20-25 minutes until a wooden pick inserted in the middle comes out clean. Let them cool. For the frosting, beat together cream cheese, mascarpone, and butter. Add sifted icing sugar and mix well. 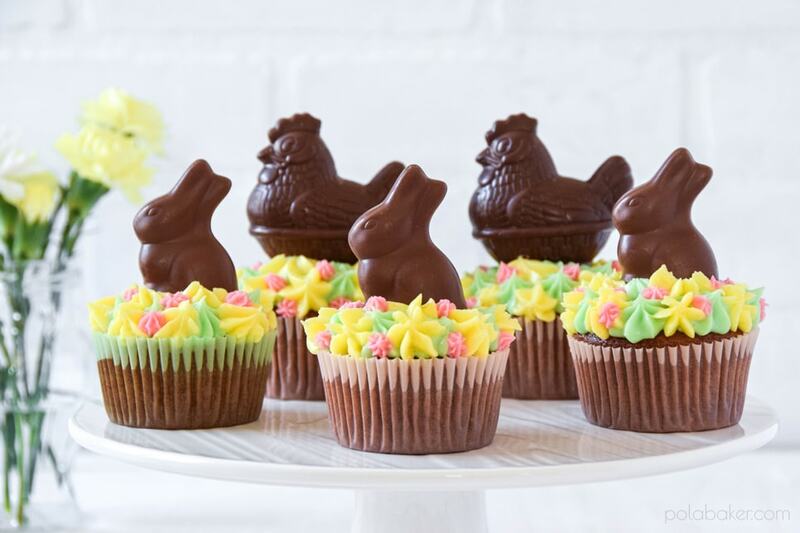 Add colour if you want, pipe frosting on top of each cupcake and decorate with chocolate eggs and bunnies. Copyright © 2017 Pola Baker.